If I was writing this for a time-poor person who won’t hang around past paragraph two, I’d say Bar Brosé is one of my favourite places to open in 2016. In fact, it might actually force me to say something actually nice about the lockout laws (I know, not exactly legislation I’d cheerlead for in any other circumstance). 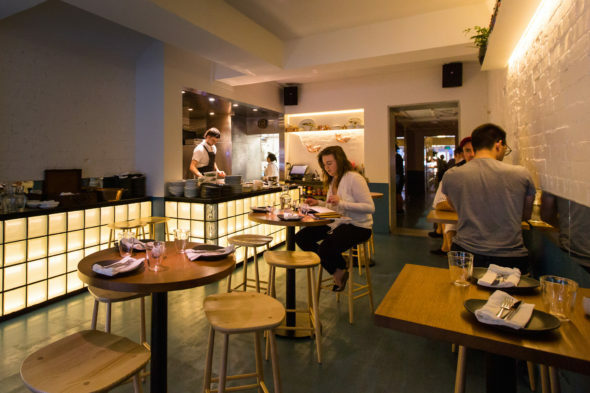 Bar Brosé‘s site used to belong to The Passage, which Ed Loveday and Andy Emerson had to close after the lockouts caused a staggering 60 per cent drop in patron visits. The Passage’s Baird-hastened demise, however, meant the location got rebooted as Brosé in late March – with a commando unit featuring the ultra-talented Analiese Gregory, supported by colleagues at ACME (where she previously worked); so you might’ve spotted any of ACME’s initial-bearers here, from Andy Emerson and Cam Fairbairn to Mitch Orr and Ed Loveday. The fact that it’s taken this long for you to scroll past Bar Brosé‘s opening credits says something about the talent levels on show here. Analiese’s star power is a big part of Bar Brosé‘s appeal. 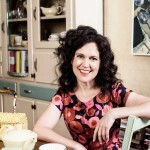 She is, by far, the most interesting person I’ve ever had the luck of interviewing (sorry Ferran Adria, Massimo Bottura! ), and her CV is just overloaded with chefs’ hats, Michelin stars and heavy-hitting institutions (Quay, Mugaritz, Bras, Le Meurice, The Ledbury; and while there ain’t an award system to recognise the pop-up she ran in Morocco, she should score high honours for running a restaurant where everything – even gas bottles – could only be transported in by donkey, and she spent three hours every day sourcing ingredients herself; from mountainsides to markets, from getting just-slaughtered lamb to choosing between the 30 different types of honey in the honey souk). 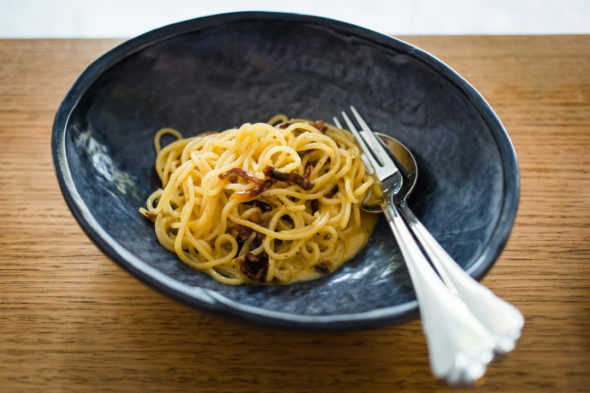 You can map all the accumulated passport stamps and clocked kilometres on her great menu, where each dish feels like it comes with its own travel arrangements. The Comté Gougères ($6) will lead you to the doorstep of Sue Dyson and Roger McShane, who run Living Wines in Tasmania. “Every time I visit, it seems to be winter and we meet up in Sue’s kitchen for gougères and champagne at six,” says Analiese. “It’s a very civilised way to start the evening!” You could imagine a handful of these cheesy, flaky puffs creating warm moments during cold hours in Hobart. The Crisp Potato ($12) looks like someone bulldozed a pop tart into brittle-thin shards – and sandwiched brown butter mousse and salted caramel in between like some miracle mortar. Consuming this all is just so damn awesome that you’ll end up with dessert amnesia – a memory wipe-out of any previous meal-ender that could possibly even come close in greatness. And then there’s the Blooming Onion ($12), which I remember Analiese first serving at ACME last August. It’s a sly nod to Outback Steakhouse and I recall her asking me if it was “too bogan” to cook. I raised no objection back then, and definitely am glad it migrated over to Bar Brosé as a star recruit. Will says it tastes like a vegetarian version of the Hartsyard fried chicken – and who would complain about that? 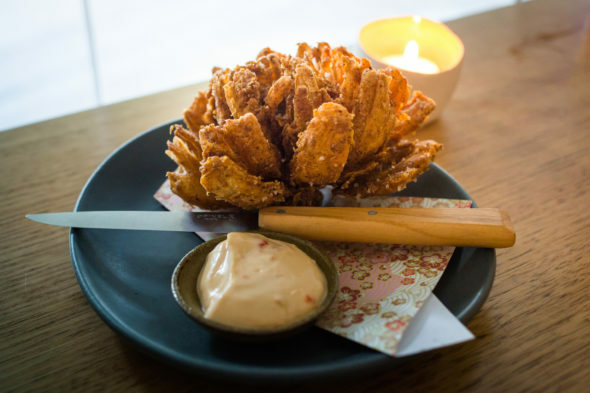 The battered petals of the ultra-caramelly onion are fun to pluck off and dip into the “tofunaise”, which is a house-made soy mayo finished with vinegar and fermented jalapenos from Moonacre Farm. And of course, the Poulet au Vin Jaune d’Australie ($20) is so local that you could stick a postcode on it (in fact, it was originally called Poulet au Vin Jaune de Marrickville). Made with Holmbrae chicken, foie gras butter and “crisp chicken-in-a-biskit shards” (as Durack and Dupleix described it in their 17-dishes-to-try article), the boozy sauce has transformed since its early days. Collaboration has been a big part of what Analiese has been undertaking at Bar Brosé. While it’s her first solo restaurant and signature dishes light up the menu, there are plenty of guest credits and welcome influences, too. 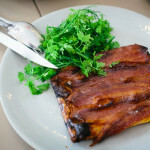 Even for small, key details – like treacle from the Jura, as smuggled in by Franklin’s David Moyle, which adds caramelly lift-off to a plate of clean, bracing goat’s curd ($14) and dried persimmon so wonderfully, teeth-clompingly sticky and sweet. Or Roasted Macadamia Ice Cream ($12) paired with chocolate malt that’s made with Young Henrys and is so turbo-charged, it’s like consuming next-level Ovaltines. And in fact, her pro-active approach is so all-encompassing that she actually has injuries to show for it. 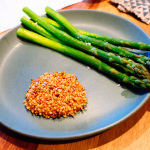 “I had been driving to the Hawkesbury to Reiby farm to pick fig leaves, figs, herbs, citrus and wild fennel on the drive back, but I had been getting all kinds of crazy scars on my hands that the doctor couldn’t diagnose,” she says. I remember seeing how overrun with marks and blemishes her arms were on my first visit to Bar Brosé. “I eventually discovered that the fig leaf sap had been eating my skin,” she says. Now she wears large washing up gloves on her foraging runs. But this above-and-beyond approach shouldn’t be surprising. She once made a two-hour round trip in central France just to find roadside poppies while she was at Bras. And during her Funemployment collaboration with Luke Burgess, “I went to collect sea lettuce with the help of the Pinbone guys at 6am, but didn’t check the tides and wound up getting washed off rocks by insane waves just trying to collect the seaweed”. Her heavily DIY approach means that you’ll discover, for instance, that she isn’t content with calling in someone else’s cheese and will just prepare the goat’s curd herself. And she does it in a totally non-braggy way, with zero limelight; sleuthing out her unshowy handiwork is like running a magnifying glass over the liner notes of an album – the production credits are there if you look really carefully. 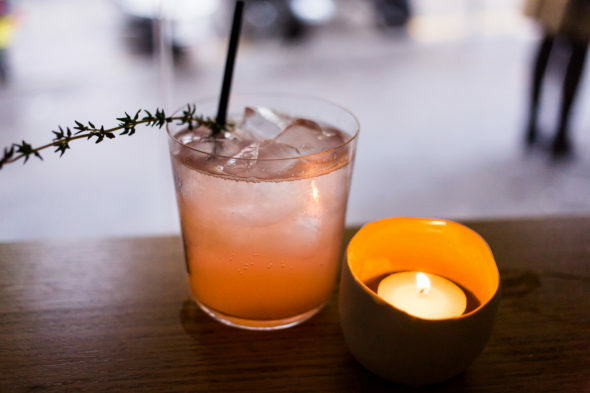 Of course, it is called Bar Brosé and drinks are a pivotal part of its charm, too. Leaf through the wine list and you’ll see bottles classed under evocative headings like “crisp and lean whites” and “reds with curves and grip” – an inviting, why-not-try-this style that you’ll recognise from Katrina Birchmeier’s days at Garagistes. Of course, there’s a focus on “skins and oxygen”, which means you can settle in for the tangerine-like fizz of Hermit Ram ‘Muller Thurgau’ or the heady five-blend trip of the Arfion Wines ‘Fever’. My favourite category field in the drinks list is the ¯\_(ツ)_/¯ section (aka the “Brosé” collection). I like that they can be super-focused and specialist about their beverages, but also just sneak in a punchline like that. 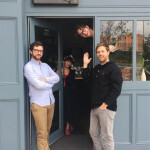 The drinks menu is a co-production between Birchmeier, Gavin Wright and Ed Loveday, with Ed also adding a lightning charge to the cocktail list, too. (Figuratively and literally, if you’ve seen his bolt-like garnishes.) In fact, the selection is far from one-note and I like that you might find yourself drinking Mukai Shuzo’s Ine Mankai red rice sake one night (via one of the few female sake-makers in Japan) or just sipping a just-as-excellent fig and thyme house soda on another. If there was some cooling-off period, maybe I’d be over Bar Brosé – but I’m still hitting the upper reaches of my enthusiasm for it. I ate there the second day it opened in late March, but I’ve been twice in the last week, too. I’ve gone early on a Sunday afternoon, soon after the doors have opened, with a Buffalo Yogurt Sorbet with Maraschino Cherries and Meringue ($12) for company; I ambitiously ate a “light” dinner there before a seven-course dessert degustation at Messina down the road (true version: it wasn’t that “light”, ‘cos I couldn’t stop ordering). I’ve also been there well after the 1.30am closing time (knocking back sake, tea and my 15 millionth potato dessert), and am amazed that the staff didn’t sweep me outside with a broomstick, as they were will within their rights to do. And even though Analiese lost the custody battle over her amazing coconut rice cream dessert (she created it at ACME, but wasn’t allowed to bring it over and had to basically leave it at the border when crossing over to Bar Brosé), she’s basically scored the last word by creating the Sake Kasu Riz Au Lait ($12) which is like a grown-up, boozy alternative that comes armed with mandarin ice cream and sesame snaps – and more than makes up for the absence of the exiled coconut rice cream. 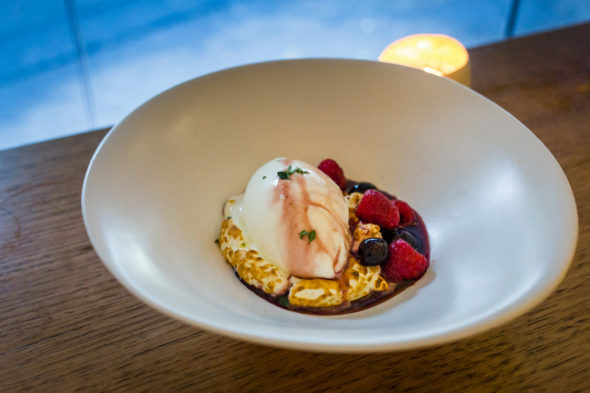 The rice and sake lees dessert was something Analiese had been working on for a while (but given that she nailed a dish that Mugaritz had spent four years trying to get right, her ultimate victory lap should be no surprise). And I’m betting my interest will keep being regenerated by Bar Brosé, because – even though the name is a LOL-triggering punchline – the venue is seriously flat-out, no-joke brilliant. 231A Victoria Street, Darlinghurst NSW, barbrose.com.au. Follow Bar Brosé on Instagram and Facebook.